Yes, last week (Thursday 18th Feb 2016) I made it past 5000kms on the e-bike. Given the trials and tribulations we have been through with our bikes and our health, its amazing to get this many kilometres on. Lynn has done about 3500km, and is rapidly catching me again, having nearly matched my distance 12 months or so ago before she was off her bike for a few months. As I rode in this morning, a couple of things went through my mind, firstly how much I enjoy riding to work and back now, and secondly that my bike is starting to show its age, and what should I replace it with! 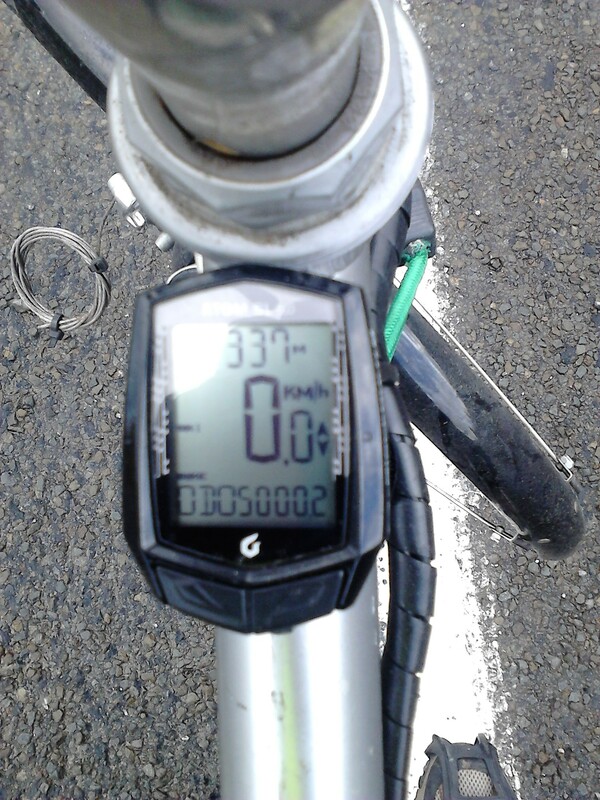 Incidentally, when I took the photo I was virtually at sea level, the altimeter shows over 300metres! 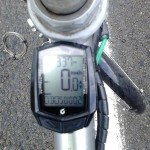 I have never seen the point of a barometric altimeter on a bike. I can set it at the shop, and the pressure changes so quickly here in Wellington, it can be 50 metres out a few kms later! But how does it get over 300metres out of adjustment? ‹ Electric Bikes – schools are back!